Identify and differentiate between various types of green wall systems and the current trends related to them. 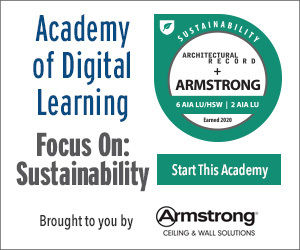 Determine the applicable benefits of green wall systems for different settings and user groups. Specify and design basic level green wall systems for exterior and interior applications. Recognize the significance of maintenance in the success of a green wall system and outline a maintenance plan for owners and users to implement. In recent years, green roof technology has become an accepted sustainable design strategy as the benefits and advantages have become better known and proven design options have become more available. A corresponding interest is emerging among designers and owners who are also considering installing vegetated green walls on the outsides of their buildings or on interior walls. There have been a number of historical or traditional strategies to add vegetation to walls, such as installing a trellis system, but recently the option of truly living walls has become viable. 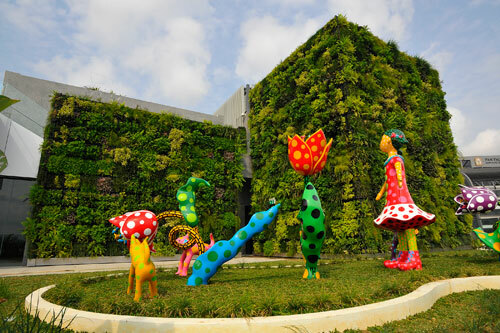 The overriding concept of such a green wall is based on planting or mounting a series of living, growing plants on a vertical surface. In response to this interest, there are now several manufacturers of green wall systems currently offering solutions to North American architects. Introducing vegetation onto building surfaces is hardly a new concept. The Greeks and Romans as far back as the third century BC are known to have used grape arbors on their villas for the fruit they produced and the shade they provided. Medieval and Renaissance Europe saw many prestigious castle walls become covered with ivy or other plants that led to a similar desirable practice on buildings in America. In fact, in 1956 sportswriter Stanley Woodward (NY) coined the phrase “Ivy League” as a direct reference to the ivy so commonly grown on the buildings of some of the most respected educational facilities in the country. What is new is the recent research and application of systems and designs to optimize the benefits of vegetation on buildings without causing any harm to the building. During the 1980s and 1990s green wall research and development efforts were boosted by incentives offered in Germany which gave rise to collaborative efforts of landscape architects, scientists, and private companies. Part of the basis of some of the German research is the observation that man made surfaces like roofs and streets influence urban microclimates through solar radiation changes. As a result of these changes, air temperatures inside buildings also rise and lead to discomfort or increased energy consumption for cooling. A logical solution to create more comfortable air temperatures inside and outside of buildings is to add green plants to façades and roofs, thereby using the natural processes of the plants to create comfort. The two key fundamental natural processes that plants provide are 1) evaporation of moisture from the soil or growing medium and 2) transpiration of moisture out of the leaves of the plants into the atmosphere. Collectively these two processes carry away excess heat and the term evapotranspiration is used to refer to their combined activity. According to some experiments in Berlin, extensive green roofs were found to transfer as much as 58 percent of net incident radiation into evapotranspiration during the summer months thus providing significant cooling. Green façades were also studied where plants provided shade during summer, while during the winter, when the plants lose their foliage, the sun’s radiation was able to pass through the glass-front of the building. In the summer months it was observed that a significant cooling value was achieved.